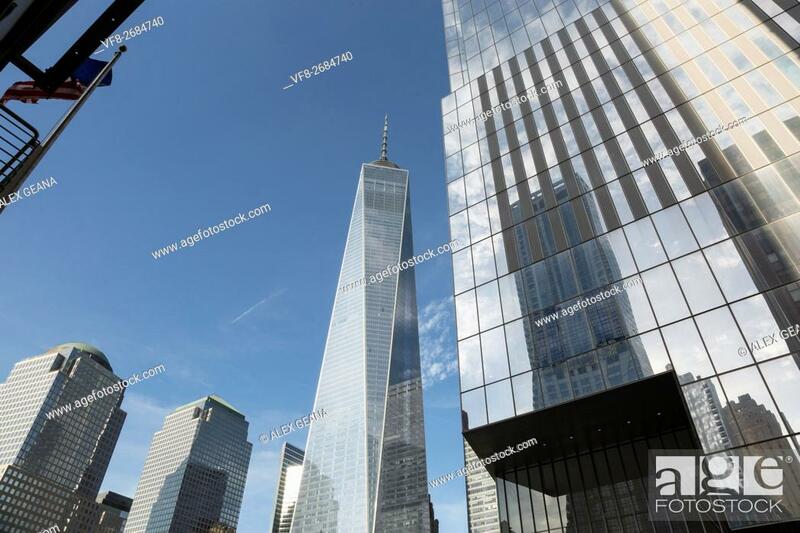 Stock Photo - ONe World Trade Center also known as the Freedom Tower, is the name of two buildings in New York City's Lower Manhattan. Itâ. ... . s the primary building in the World Trade Center complex, the tallest skyscraper in the United States of America, and the fourth-tallest in the world. The 104-story supertall structure hares the name with the northern Twin Tower, in the original World Trade Center, destroyed in the terrorist attacks of September 11, 2001.